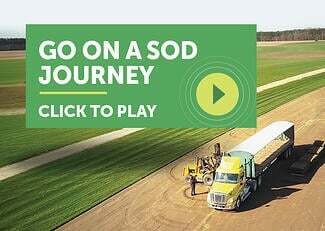 For details on Installing Sod (laying sod), watch our instructive video that explains the steps of installing sod and gives examples of each step, as it is performed. What's included in this video? Installing rolls of sod best practices. Are you looking for an overview on laying sod, from selecting your sod to its maintenance? We've got a video on Five steps to Laying Sod, too! Once you've prepared your soil and had your sod delivered (and placed in the shade), you'll need to install the sod as quickly as possible. We don't want to scare you, but sod is a living, breathing plant and the transplant process must be done quickly and smartly to prevent the plant tissue from drying out and dying. Please be prepared to lay your sod immediately after it is delivered and have plenty of help at the ready. Remember, examples of how each step is performed are available in the above video. When you are cutting in and around edges, make clean cuts to prevent the sod from drying out. Lay the sod so that any gaps will be at the edge of your lawn. Fill in gaps along the edges with cleanly cut pieces of sod. Water Run Off - a brick-like pattern prevents long running seams in your sod. If there is a seam all the way down, the water will run all the way down and away from your lawn. Lay the rolls of sod perpendicular to the slope to prevent your sod being washed away by heavy rainfall. Once your sod has been installed, you will need to roll in your sod. 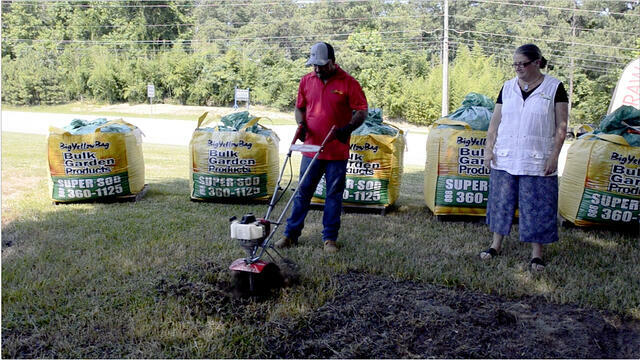 Rent a sod-roller from your local hardware or equipment rental store. Fill the sod roller with water. Roll the sod roller across your lawn in a grid-like pattern. Rolling your newly laid sod helps sod roots come into better contact with the soil and it removes air pockets. 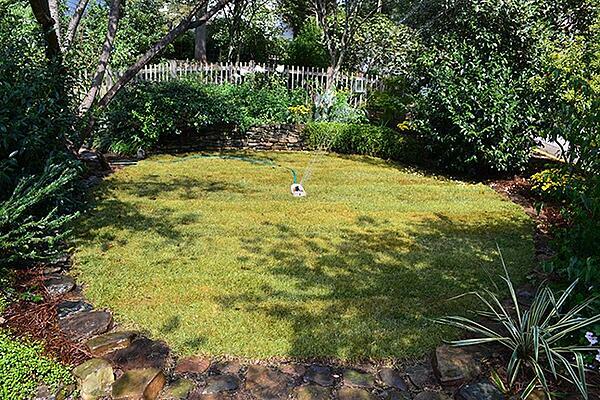 Water your new lawn immediately upon installation. A good practice is to water after you've laid a half pallet or full pallet and before moving on to the next pallet. You know you've watered enough when the soil below the sod is damp. Keep the sod (and soil underneath) damp for about 2 weeks, or until rooted in. To do so may require daily watering (depending on climate). Read How and When to Water for further watering instructions.